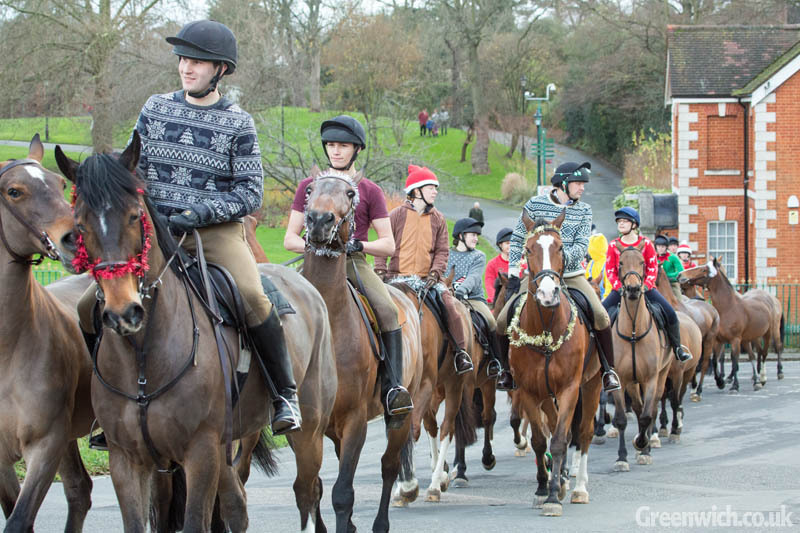 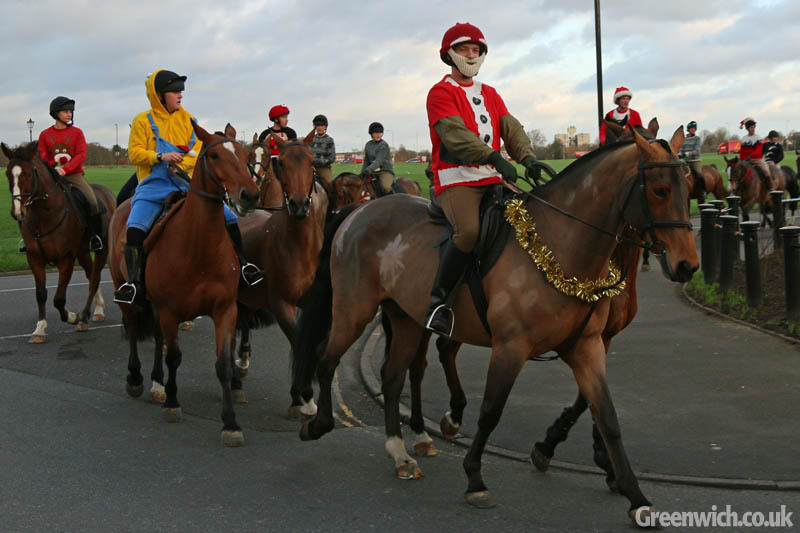 THE KING'S Troop Royal Horse Artillery have made their now-traditional Christmas eve appearance in seasonal outfits. 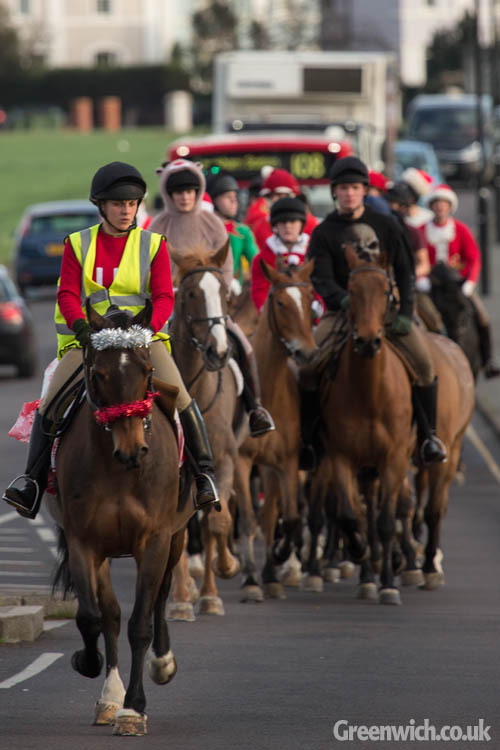 Horses and riders alike were decorated with tinsel and Christmas costumes as they made the journey from their purpose-built barracks in Woolwich to Blackheath. 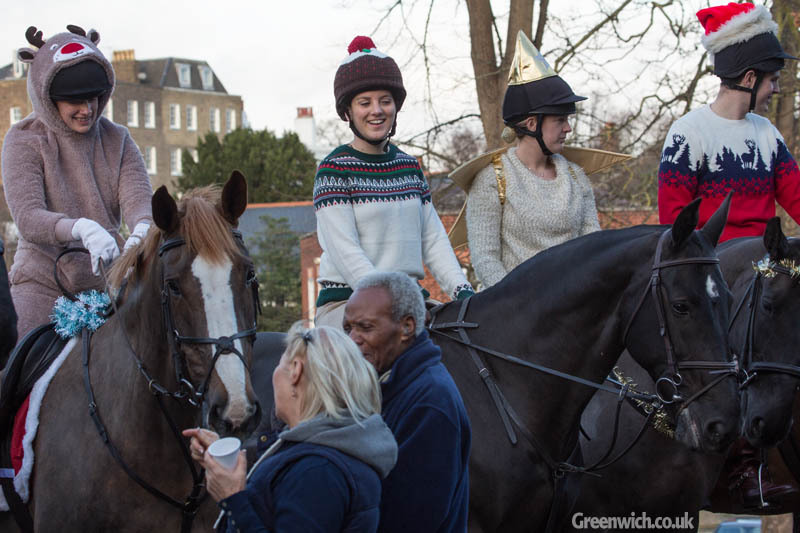 The Troop were greeted by residents of Morden College where mince pies, mulled wine and brandy were served. 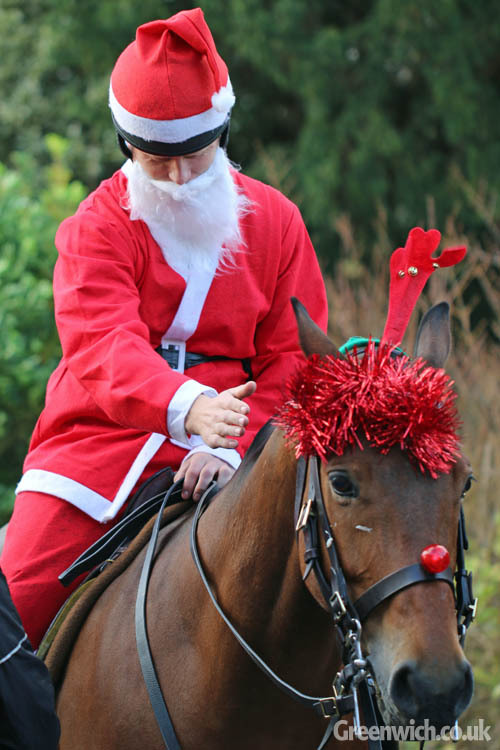 The outfits included Christmas jumpers, Santa costumes and snowman suits. 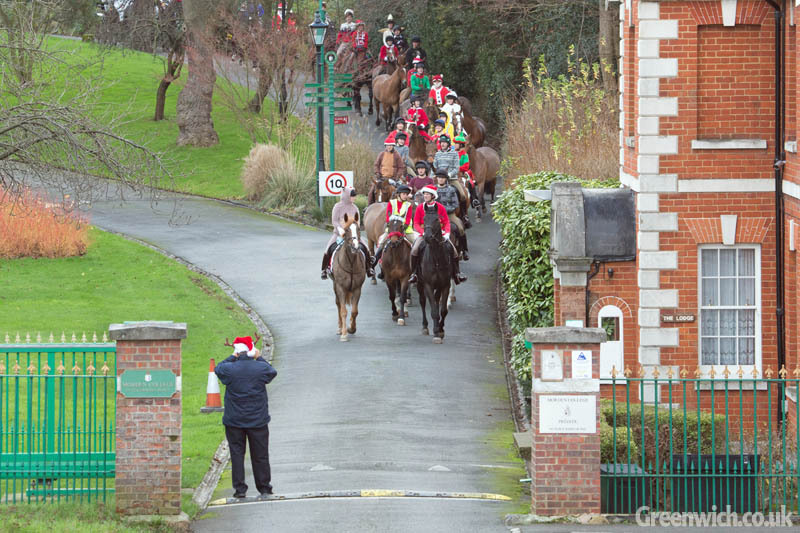 Once at Morden College, the Troop spent time talking to residents and having their photographs taken. 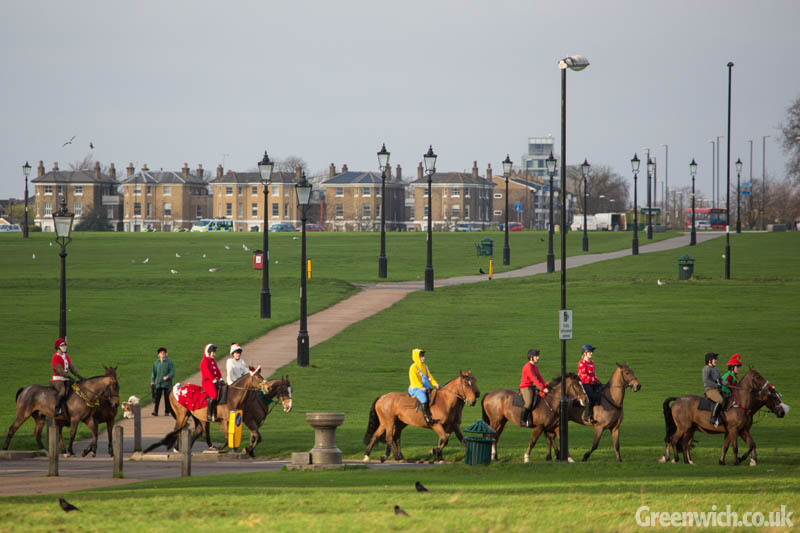 Seen from across the heath as they head off back to their base at Woolwich which they moved to in 2012. 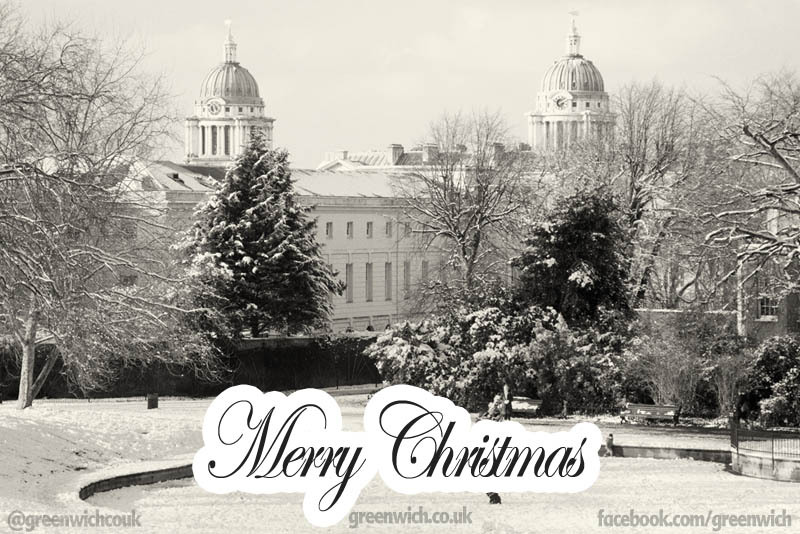 Greenwich.co.uk would like to take this opportunity to wish readers, subscribers and followers on the site and on our social media channels a very Merry Christmas.